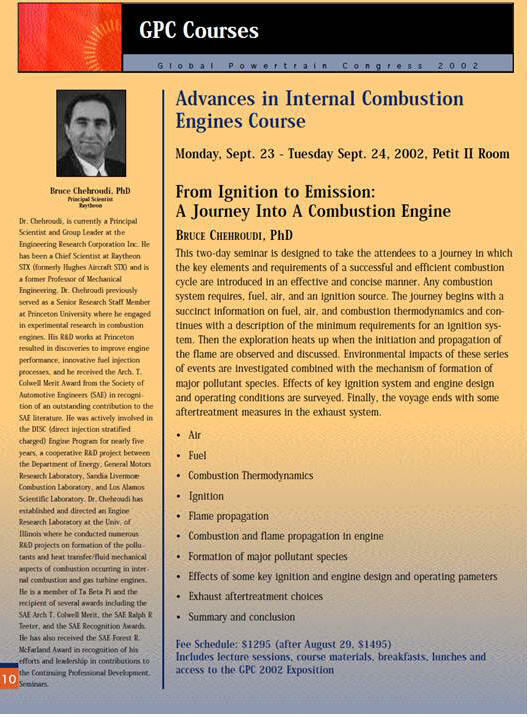 A good understanding of the physical and mathematical principles of the combustion process will permit engineers to effectively contribute to emission control strategies and design and develop emission control systems and components. In addition, this seminar will build sufficientbackground to enhance interdisciplinary collaboration between research and development, design, and manufacturing engineers. Issues related to combustion and emissions will be brought "down to the earth" with minimal use of mathematical terms and maximum application of physical explanations and analogies. However, the notes for this seminar are intended to be "reasonably complete" so that an engineer who desires to go beyond the objectives of this seminar, may do so by merely reading the included notes. For this reason, some of the handouts relate to advanced mathematical formulas that are not essential and not covered in the seminar itself. This seminar introduces the jargon of combustion and emphasizes the definitions and necessity for precise usage of these terms. Equilibrium species composition, its meaning, limitations, and applications are discussed. Chemical kinetics terms and concepts are explained and their utilization is demonstrated in the context of explosion and hydrogen/hydrocarbon (HC) fuels oxidations. Autoignition, flame structure and propagation, and flammability limits are discussed. 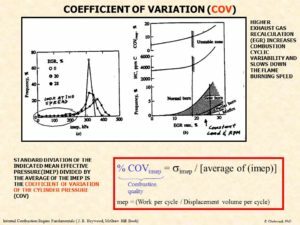 Combustion, flame structure and speed, burning speed, turbulence and turbulent burning speed, cyclic variability of combustion, and partial burning and misfire are among the subjects covered in the context of combustion engines. 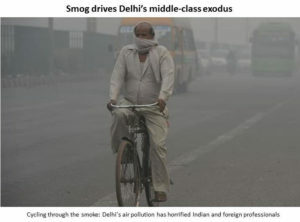 Also discussed are the formation of major pollutants such as, nitric oxides, carbon monoxide, and unburned hydrocarbons. The formation of minor species are described in brief. 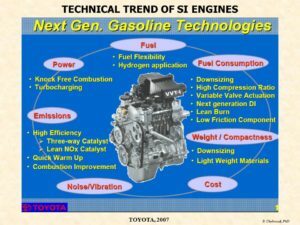 Effects of engine design and operating parameters are also emphasized and discussed. 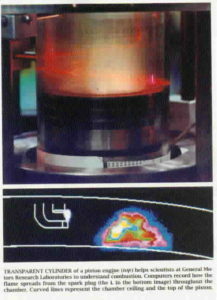 Finally, after-treatment of pollutants in the exhaust system including catalytic conversions are described. Identify design trade-offs between increasing engine performance and maintaining low emission characteristics. This seminar will be especially valuable for engineers, technical and project managers, researchers, and academicians. Presently, the design of many components in engines are affected by combustion and emission control measures to meet customer's, federal and local government's demands and regulations. Hence, engineers working on the design of components for high efficiency and performance of combustion engines as well as those directly and indirectly involved in reducing emission of harmful pollutants from combustion engines will highly benefit from this course. Additionally, this course provides adequate background for engineers and managers in contact with those directly involved in combustion and emission issues and will prepare them for more efficient and intelligent communication in an interdisciplinary environment. Environmental engineers desiring to expand their understanding of combustion and emissions from engines will benefit, as well as, engineers active in the development and application of software for the modeling of thermal-fluid, combustion and emission processes. Technology Consultants (ATC) directly. Alternatively, this seminar (prepared by the ATC and delivered by a award-winning ATC consultant) are also sponsored by the Society of Automotive Engineers (www.SAE.org). NOTE: Professionally-prepared "audio-video Powerpoint-type presentations" of these seminars are available for purchase by companies. Each slide is presented with a clear audio by the consultant, describing the subject, while a digital pointer guides the audience to where the attention is to be focused. Companies can put such audio-video presentations on their intranet to be used by their employees. It is a cost effective way of approaching professional training, which also contributes towards R&D, design, and intelligent new product development efforts. Presentations are updated every year at a fraction of the original cost. For a sample presentation click on the word "COMBUSTION" in the picture to get a feel of how information is transferred (High-speed internet access is recommended. Otherwise, download may take a few more minutes). For more details and pricing please contact ATC. 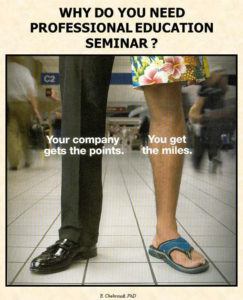 "Very interesting course. It reinforces basic concepts each engineer involved in powertrain controls should know." "Great and thorough content of everything that has to do with combustion and emissions from basic chemistry to applications. 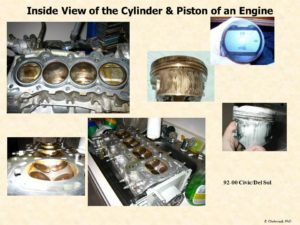 This is a must for anyone working with engines." 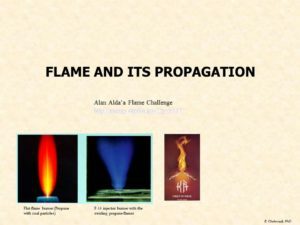 ”This course is the fundamental concrete of combustion science. Dr. Chehroudi is a master, presenting complex ideas in down to earth terms for all to understand." 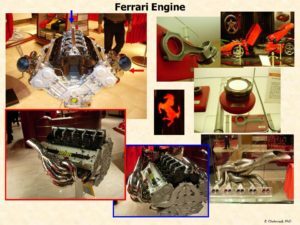 ”It is an excellent course to improve your knowledge of internal combustion engines. Everything is explained well, with real examples that could help you at work or with developments of new ideas." "Combustion and Emissions for Engineers is an excellent overview of the internal combustion engine's underlying chemistry." 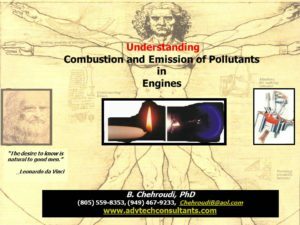 "Dr. Bruce Chehroudi successfully blends theoretical and practical explanations of combustion and emissions subjects to maximize comprehension. This course is an excellent way to steepen the learning curve in this complex and fascinating area of Engineering. Highly recommended; bring your questions!"